In this episode of Apps for Kids, we talk The Big Big Castle, a game where you build and destroy castles. It's free in the iTune store. In this episode of Apps for Kids, we talk about an online makers' club app for iOS called DIY.org. It's free in the iTune store. In this episode of Apps for Kids, we talk about a coloring book app for iPhone called Cobypic. 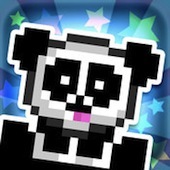 It's 99 cents in the iTune store. In this week's episode Jane and I talk about Space Holiday, a "line-drawing puzzle where you link stars to create constellations and open the star portal while avoiding the asteroids." In this week's episode Jane and I talk about iHideAndSeek. You play the game by hiding your iPhone somewhere in a room and having your friends try to find it by listening to the sounds the phone makes every once in a while. It's 99-cents in the iTunes store (I said it was free in the podcast, but I was mistaken). Apps for Kids 29: Yodel-Oh! In this week's episode Jane and I talk about Yodel-Oh!, a target tapper game where you have to keep a Swiss mountain climber from falling off the edge of a cliff. 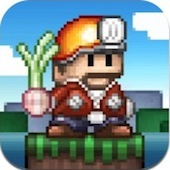 It's $0.99 in the iTunes store (Yodel-Oh! for iPad, Yodel-Oh!™ for iPhone). In this week's episode Jane and I talk about Subway Surfers, an endless runner game where you get caught painting graffiti on a train car and have to run away from the police. It's free in the iTunes store. 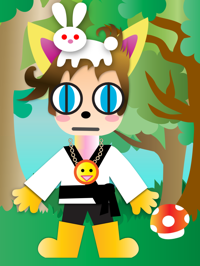 In our listener email segment, we learned about an avatar making app called Funky Bunny Avatar. Here's Jane's avatar (right). If you would like to have us read your favorite game or gadget recommendation on the air, or if you have a question you'd like us to answer on the show, email us at appsforkids@boingboing.net. Include your age, and the city, state, and country you live in. In this week's episode Jane and I talk about Flow Free, a game where you try to connect pairs of colored dots without crossing any lines you've already drawn. It's free in the iTunes store. Don't forget to be part of our "Listener Email" segment. If you would like to have us read your favorite game or gadget recommendation on the air, or if you have a question you'd like us to answer on the show, email us at appsforkids@boingboing.net. Include your age, and the city, state, and country you live in. In this week's episode Jane and I talk about Cargo-Bot, a game where you program a robotic crane to move and sort colored wooden carts from one place to another. It's free in the iTunes store. Apps for Kids 025: Expand it! 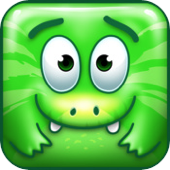 Click here to play episode.Apps for Kids is Boing Boing's podcast about cool smartphone apps for kids and parents. My co-host is my 9-year-old daughter, Jane Frauenfelder. In this week's episode Jane and I talk about Expand it!, a game where you inflate little dinosaurs by tapping on them until they reach a rainbow. 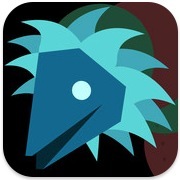 It's 99 cents in the iTunes store and free on Android. In this week's episode Jane and I talk about Mobbles, a game where you capture and take care of little monsters that live in your neighborhood. It's free in the iTunes store and on Android. 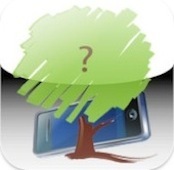 We also talk about a fun voice changing app called Crazy Squirrel. In this week's episode Jane's older sister Sarina tells us about Geared, a puzzle game where you have to connect gears together. It's free in the iTunes Store. 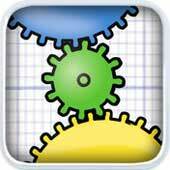 We also talk about other games, including Gears, Anticlon, and PrestoBingo Shapes. In this week's episode we talk about Junk Jack, a sandbox game that's a lot like a 2D version of Minecraft. It's $2.99 in the iTunes Store. If you subscribed to Apps for Kids and would like to be in the drawing for a redeem code for I Want to Be a Tiger, please email us! 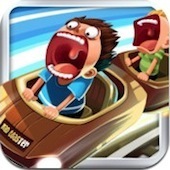 In this week's episode we talk about Madcoaster, an endless runner game where you try to survive for as long as possible on a roller coaster. It's 99 cents in the iTunes store. If you subscribed to Apps for Kids and would like to be in the drawing for a redeem code for Toca House, please email us! 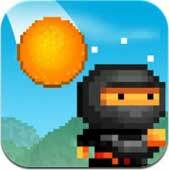 In this week's episode Jane and I talk about 8bit Ninja, a game where you have to dodge giant bouncing fruit that has invaded your dojo. It's free in the iTunes store. Apps for Kids is Boing Boing's podcast about cool smartphone apps for kids and parents. My co-host is my 9-year-old daughter, Jane Frauenfelder. In this week's episode Jane and I talk about Cordy Sky, a game where you have to help Cordy re-fuel his rocket ship after it crash lands on a planet. Apps for Kids 018: Got Cow? In this week's episode Jane and I talk about Got Cow?, a game where you have to save innocent cows from alien abductors. It's 99 cents in the iTunes store. Apps for Kids 017: Where's My Water? 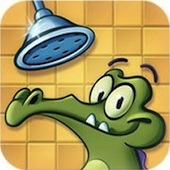 In this week's episode Jane and I talk about Where's My Water?, a game where you have to help an alligator take a shower. It's 99 cents in the iTunes store and the Android Market. In this week's episode Jane and I talk about an interactive storybook app for iOS called, Plug and the Paddywhacks. 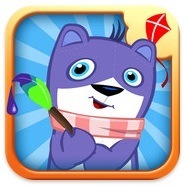 Read about past episodes of Apps for Kids here. 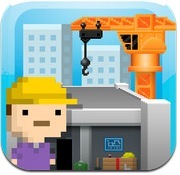 In this week's episode Jane and I talk about the engineering construction simulation game, Simple Physics. We also discuss "endless runner" games in our "Listener Email" segment. If you would like to have us read your favorite game or gadget recommendation on the air, or if you have a question you'd like us to answer on the show, email us at appsforkids@boingboing.net. Include your age, and the city, state, and country you live in. 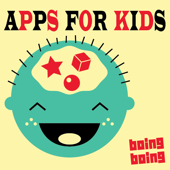 Apps for Kids is Boing Boing's podcast about cool smartphone apps for kids and parents. My co-host is my 8-year-old daughter, Jane Frauenfelder. In this week's episode Jane and I talk about Combin3, a visual matching game that pits kids equally against grownups. It's free in the iTunes store. In this week's episode Jane and I talk about Match Panic, a game where you have to tap on the left side or right side of the screen to match the characters flying down the display. It's $1.99 in the iTunes store. If you're an app developer and would like to have Jane and I try one of your apps for possible review, email a redeem code to appsforkids@boingboing.net. In this week's episode Jane and I talk about Tiny Tower, a simulation game where you earn money by opening businesses in a skyscraper and build the tower one floor at a time. It's free in the iTunes store. Apps for Kids 011: Bag It! In this week's episode Jane and I talk about Bag It, a puzzle game where you are challenged to bag grocery items without damaging them. Bag It! 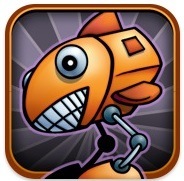 is 2.99 in the iTunes store and $1.99 in the Android Market. It's also available for $2.99 as a Barnes & Noble Nook app. In this week's episode In Jane and I talk about two games. One is called Windosill and the other one is called Feed the Head. 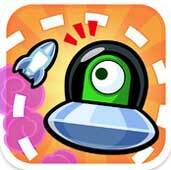 Both are made by Vectorpark, and are available both as desktop games and on the iPad. 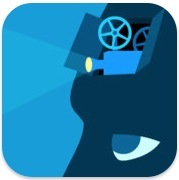 Feed the Head is available in an iPhone versionas well. Apps for Kids is Boing Boing's podcast about cool smartphone apps for kids and parents. My co-host is my 8-year-old daughter, Jane Frauenfelder. In this week's episode we have a special guest. He's Jane's friend and his name is Ronan Park. 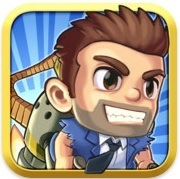 He's going to tell us about a terrific endless runner game for the iPhone and iPad called Jetpack Joyride. It's free in the iTunes store. Today, we review game called Mad Chef. 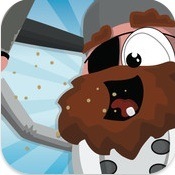 It's 99 cents iPhone and iPad in the iTunes store. Watch a video of Mad Chef in action here. 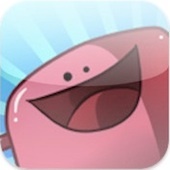 Apps for Kids is Boing Boing's podcast about cool smartphone apps for kids and parents. My co-host is my 8-year-old daughter, Jane Frauenfelder. 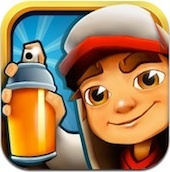 Today, we review a multiplayer game called Mini Painters. 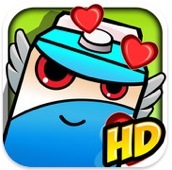 It's free for iPhone and iPad in the iTunes store. 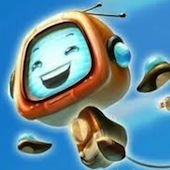 Apps for kids is on Stitcher! 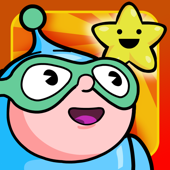 Today, we review a math skills game called Numbers League for the iPad. I hesitate to call it educational, because it's so much fun to play that your kid won't realize she is sharpening her arithmetic skills as she adds, subtracts, and multiplies numbers to vanquish super villains. It's $3.99 in the iTunes store. If you're an app developer and would like to have Jane and I try one of your apps for possible review, email a redeem code to appsforkids@boingboing.net. 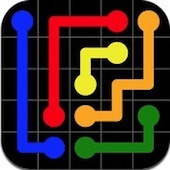 Today, we review a remake of a 1991 Macintosh game called Glider Classic for the iPhone and iPad. Today, we talk about a great fictional video series for kids called Recess Stories, and review a hair salon simulation app for the iPad called Toca Hair Salon. Thanks to everyone who has written us to let us know they enjoy Apps for Kids! If you're an app developer and would like to have Jane and I try one of your apps for possible review, email a redeem code to appsforkids@boingboing.net. To sign up for a weekly email to notify you when a new episode of Apps for Kids is up, send an email to appsforkids@boingboing.net with SUBSCRIBE in the subject line. In episode 3, Jane and I review Kingdom Rush, a fun tower defense game that's available for free play on the web, and on the iPad for $2.99. We're going to start this podcast with some tips from Jane's older sister Sarina, who holds the family record in the game Temple Run, which we reviewed in Apps for Kids episode 1.